Mountain Buggy Mini Pushchair is an perfect solution for parents with limited storage space. It is also ideal for those who use public transport regularly. Mountain Buggy Mini Pushchair is the lightest and slimmest urban solution from Mountain Buggy. 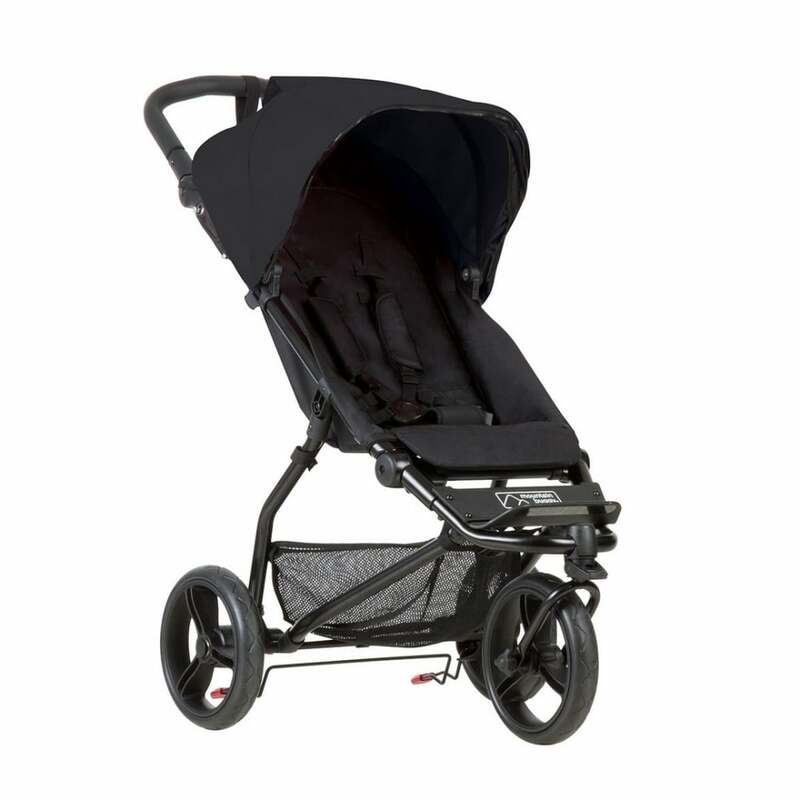 It is built around Mountain Buggy Swift Pushchair which is an award winning design. Mountain Buggy Mini Pushchair is suitable from birth - 4 years. Mountain Buggy Mini Pushchair has a handlebar which is adjustable, designed to be durable yet soft and is ergonomically formed for comfort. The hood of the Mountain Buggy Mini Pushchair can be adjusted too. It can be moved up and down on its frame to enable you to find the most suitable position for you and your baby. Mountain Buggy Mini Pushchair has an easy to use one hand folding system. This has an automatic frame lock to keep Mountain Buggy Mini Pushchair in its compactly folded position. A great feature of Mountain Buggy Mini Pushchair is a seat that can be used from lie flat to upright giving versatility to help meet the needs and wants of your baby. The seat back is longer to allow more room for growth. Front wheel can be locked for increased control or it can be in full swivel mode for complete manoeuvrability. 10" aerotech tyres are used on all 4 wheels of Mountain Buggy Mini Pushchair. Your baby will be kept safe and secure by an easy to use 5-point harness. Your baby will also be protected from sun by a sun canopy which has been tested to a UPF 50+ rating. This canopy features a peek-a-boo window to help you keep an eye on your baby. Park brake is foot operated and can even be applied in flip flops! Mountain Buggy Mini Pushchair is compatible with Mountain Buggy Swift & Mini Carrycot Plus. This provides 3 parent facing options. Mountain Buggy Food Tray provides a platform for your baby to eat from. For families with an older child as well as your baby - Mountain Buggy Freerider is a perfect addition to your Mountain Buggy Mini Pushchair for keeping your toddler close by and entertained. Showing our 4 Mountain Buggy Mini Pushchair reviews with an average rating of Excellent. Would you like to write a review? Your Review - Great pushchair, it’s very light, strong and smooth to push. It goes over bumps and muddy terrain with ease. This is my 3rd pushchair as the others haven’t been right for us and this one is definitely a winner. I would recommend mountain buggy to everyone! Your Review - Mountain Buggy Mini Pushchair is great. Mini Pushchair and Mini Price. Love it.